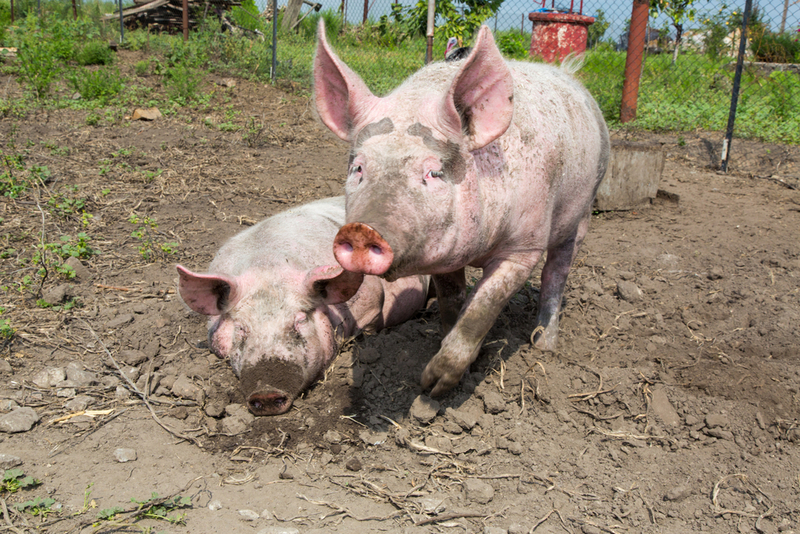 A planning application has been submitted in the North to create a 23-acre pig farm which could house 30,000 pigs. 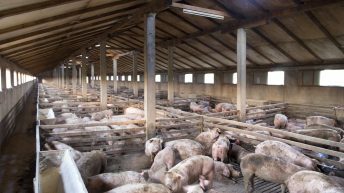 If permission is granted it could be the biggest pig farm in the North and in the UK. 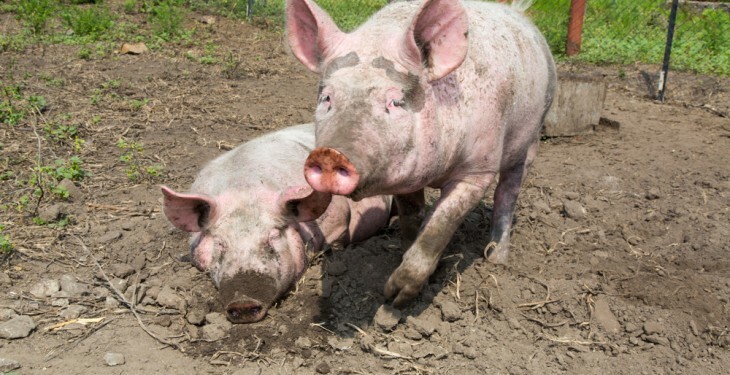 Halls Pig Farm on the Old Carrick Road in Newtownabbey, Co. Antrim, has submitted the planning application which has been met with objections from local residents. However, hundreds of people have signed a petition against the proposed farm citing flood risks, health risks and noise problems. Speaking on BBC Radio Ulster recently, Norman Kerr, who lives a few hundred feet from the development said there are many reasons that residents are against the development. We have many reason we’re not happy with it, flood risks, health risks, traffic risks, environmental impacts, smell, noise, wildlife. “To build what’s basically an industrial unit in the middle of a greenfield site; we don’t feel its right,” he said. Locals were made aware of plans when the farmer proposed to build and put the plans into the council to submit. “He did come to the house and visit me and said look I’m going to build this in the field facing you. “At that point I was kind of shocked. I had to wait I couldn’t object to it until the plans were submitted. “Then once the plans were submitted we were given four weeks to send our letters of objection in,” he said. Kerr said that they don’t have an issue with farmers and they don’t have an issue with him building a pig farm, but it is more than are farm. “It’s an industrial size of 30,000m2 fattener units,” Kerr said. “If I didn’t want to live here I wouldn’t have moved here I’m quite happy, all my neighbours are farmers, I’m quite happy to be in the countryside. He said that the problem is it isn’t a farm he’s trying to build; it’s an industrial factory. He’s putting in two anaerobic digesters and a lagoon beside it. Between the lot of them they’re 4.3m gallons of slurry. “That 4.3m gallons of slurry could leak into the environment. There’s 23a of concrete yard going into the site, all that rainwater has to go in that 1m galleon lagoon. “Its going to overflow and its going to run; it’s going to be stagnant water in the 1m gallon lagoon,” he said. Derek Hall, the farmer who has submitted the plans, has a pig farm half a mile away but this will be a separate development as opposed to an extension. “We’re trying to move away from built up housing, so we’re sitting at the edge of a few large housing developments, it needs to be a greenfield site in order to build the new technology into it,” Hall said. With regards to the problems the residents see with the development, Hall said that there’s no noise issues. “With regards noise we’re standing right at the edge of the piggery here and we can hear the birds and we can hear the road. “There’s no noise issues and there’s never been a noise issue with our existing site, the new site will be exactly the same if not better. Slurry is going to be pulled from below the pigs into an anaerobic digester which removes all the gas out of the slurry, then it goes into a sealed lagoon which is completely covered and it fits all the regulations. Hall said that over the past four years they’ve been doing the research into the technology right across Europe making sure they can alleviate these problems. “We want to be the best neighbour we can possibly be, we’re trying to improve the agriculture, especially the pig industry across the whole of Northern Ireland,” he said.